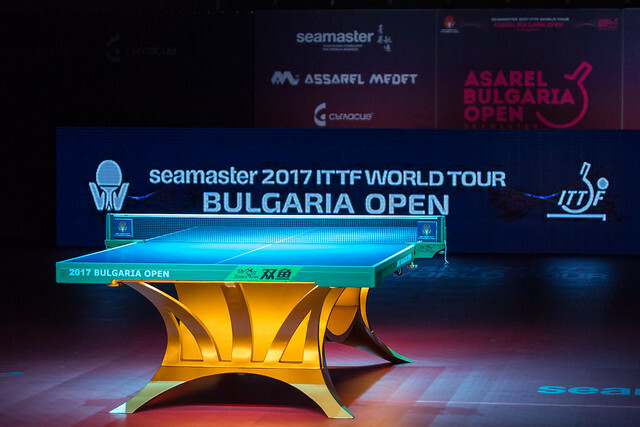 Kasumi Ishikawa has won her first Women’s Singles title of the year, defeating fellow compatriot Mima Ito in the final of the competition at the 2017 Seamaster 2017 ITTF World Tour Asarel Bulgaria Open as the Women’s Singles draw concluded on Sunday 20th August. The match had all the makings of a true spectacle and with the top two seeded players featuring in action there was a great deal of hope to see plenty of drama unfold in Panagyurishte. However, hopes of seeing a brightly contested final were somewhat dashed as Kasumi Ishikawa raced to a comfortable victory. Arguably the closest moment of the match came right at the start of the final as a deuce scoreline was required in the opening game. Kasumi Ishikawa edged to the opening game win to gain the early momentum and Mima Ito never really recovered, as the top seed picked up victories in the following three ends to claim the title (12-10, 11-4, 11-6, 11-5). Victory means that Kasumi Ishikawa has prevailed against Mima Ito on all four occasions at world ranking events. The win sees Kasumi Ishikawa claim a Women’s Singles gold medal for the seventh occasion on the ITTF World Tour, while Japanese representatives have now claimed 35 Women’s Singles title victories. Appearing in her fifth Women’s Singles final Mima Ito will be disappointed to have missed out on the gold medal finish, and will have to wait a little longer to win her first Women’s Singles trophy since the 2016 Hybiome Austrian Open in November of last year.